GO FOR A HIKE: Anywhere, anytime. Each day the landscape changes drastically as the colors evolve and change. Of course, Overlook, right in town is a favorite. Or, if you prefer flat and paved, head-on over to the Ashokan Reservoir for some lovely views. GET ON THE RIVER: The Hudson River has an entire art movement named after it, and a few hours on the water will quickly demonstrate the beauty the Hudson River School artists just had to capture. Rent a kayak from Kenco or hop on a guided tour. You won’t regret it. GET HIGH (TO SEE THE BEST VIEW): The gondola ski lift at nearby Belleayre Lodge is put to year-round use as an easy – and memorable – way to see the trees from up above. 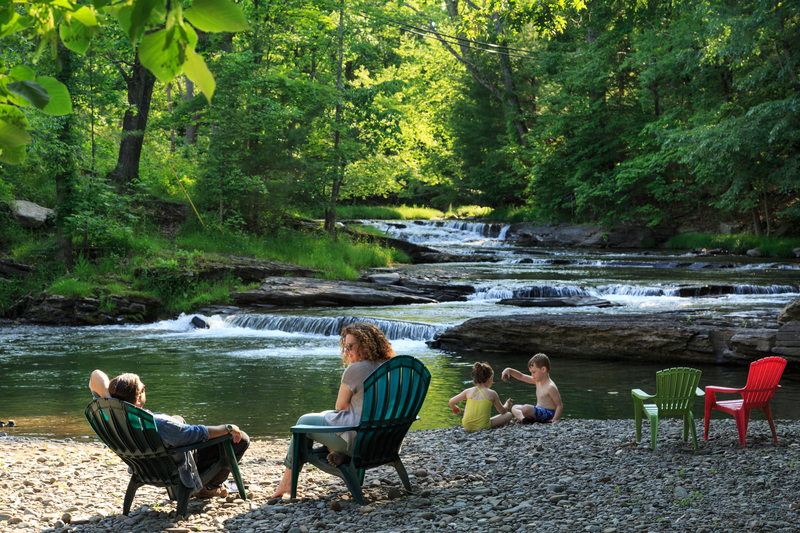 And be sure to enjoy the most beautiful spot while you’re our guest in Woodstock this fall: Our stream. 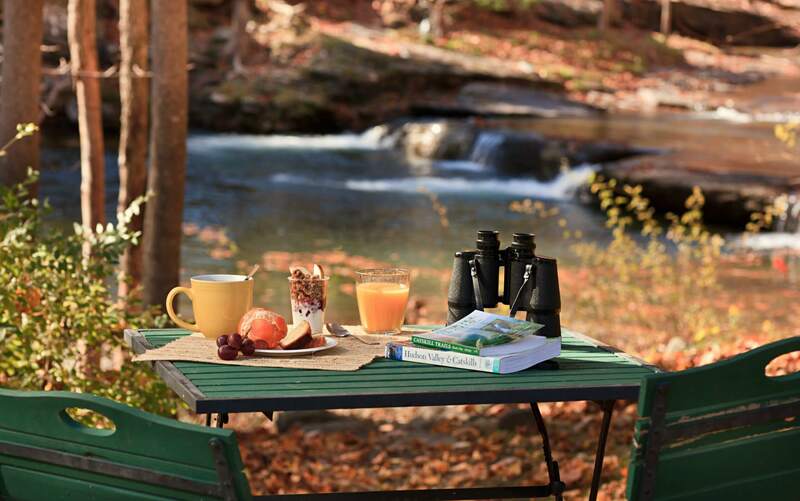 Morning coffee tastes better stream side and a refreshing afternoon wine punctuates the fun-filled, memorable day. This entry was posted in At the Inn, Outdoor adventures, Uncategorized and tagged Catskill hikes, fall season, woodstock ny bed and breakfast by admin. Bookmark the permalink.